Play yards and playpens for twins can be very useful for parents who have little movers in the house, especially two! When it’s two on one, two babies versus one parent, things can get hectic quickly. There are times when you need a safe and fun, but restricted environment for one or both babies while you are nearby but aren’t hands-free at the moment. Cooking, cleaning, chores and showers have to happen at some point! A playpen for twins or play yard may be the best temporary babysitter for your little ones while you keep life moving forward. Even better yet, a twin pack n play offers the advantage of being a portable playpen you can take anywhere. What Age Can My Twins Use a Play Yard or PlayPen? What is the Difference Between a Play Yard and PlayPen? The ideal age for children to use a playpen or play yard is 6-8 months because your twins are moving. They can roll over, grasp toys, and lift their little heads. However, you may want to introduce the playpen to your child around four months of age, so they are comfortable with it. 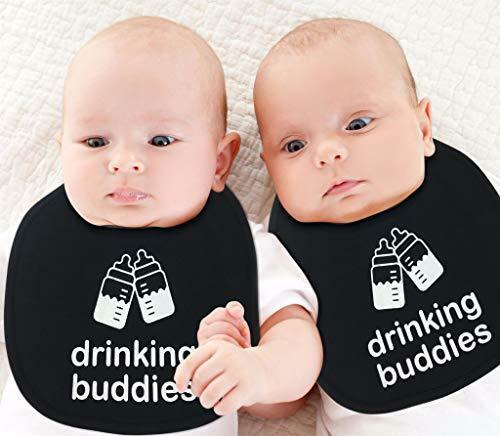 At 6 to 8 months, your twins will be pretty calm natured, so you can leave them in the playpen or play yard when you are close by for short amounts of time. At this age, you have probably also noticed that your twins are enjoying new toys, so be sure to place some in the playpen them. This will bring them, even more, joy and comfort when you are not in constant direct contact with them. There is no difference between a play yard and a playpen. The two terms are truly becoming interchangeable, play yard being the more modern term. Both are basic structures used to keep children safe while playing, napping, or to keep children out of something they should not get into. They are what you would traditionally think of as an enclosed space with nothing too fancy about them. Some are made for travel while others are stationary for your home. Some feature changing tables and other handy components for infants and then can morph into something more usable for your children as they grow into toddlers. We have found several in-demand play yards and play pens and looked at them closely to help you decide if they suit the needs of your twins. If you love the great outdoors—the beach, camping, or cookouts—this play yard is built with your twins in mind. This portable play yard comes with a UV50 protectant canopy that can partially or fully cover the playard area creating a sun-resistant napping and playing area for your twins. The base is also waterproof, so ground elements should never be a problem. This Graco twin pack n play transitions to a fun play area as your children become toddlers because of its smart-zip open front doors. Summer Infant has created a great indoor/outdoor, roomy, 14 square foot portable playpen for your two peas in a pod. It is light-weight and easy to fold for travel. 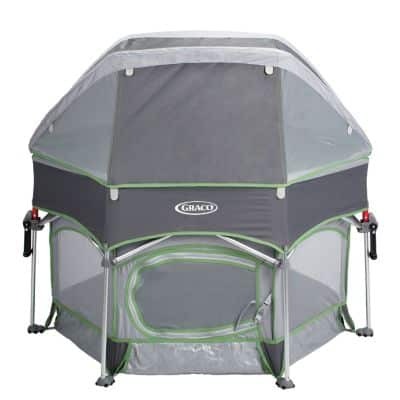 If you use it outdoors, you can purchase additional pieces for it, such as a canopy to shield your babies from the sun. Joovy has created a sturdy portable play yard that gives your twins 10 square feet of living, sleeping and napping space. It is well-crafted for indoor and outdoor use. It is on wheels for ease of mobility, and Joovy touts that it’s made from the highest quality materials. North States produces an aesthetically appealing, 8-panel, free-standing playard made right here in the United States. It can be used indoors or outdoors. It will not scratch flooring because it has pads on the bottom of the panels. It gives your twins 34.45 square feet of play space. Best Choice Products has created a very entertaining play yard for children and toddlers. This spacious play yard is constructed of plastic and has a built-in activity board to keep your child playing and happy. It is made from panels that can be re-arranged into many shapes and sizes to meet your spacing needs indoors or outdoors. This neutral colored, free-standing, and spacious play yard by Summer Infant is sturdy and easy to maintain. It gives your twins 18.5 square yards of play space inside. It's made of weather-resistant plastic that is durable inside and outside. This portable play yard is made with soft mesh with ventilation on both sides and a nylon bottom that is removable and easy to clean or wash after use. You can easily set it up and fold it down in just a matter of seconds. It compactly folds and the bars at the bottom of the sides are easy to push and pull down with your foot. It is water-resistant and perfect for outdoor and indoor use. It is ideal for use at home, at the park, at the beach, and when traveling. It is sturdy and perfect for playful kids. However, this might not work for older kids who want to climb in and out of the playpen because although it is sturdy enough, the top walls were not built for that. You might have to put a mattress or some padding at the bottom as protection for the kids and the playpen when using it outdoors. Aside from that, the overall quality of the product is good. It only weighs 13.15 pounds and can be easily put in a bag and carried anywhere especially for families that are always on-the-go. 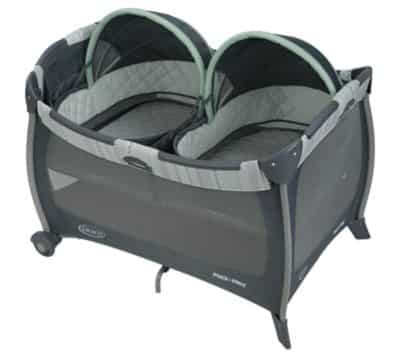 The Infant pack and Play Portable Playard is built with high-quality mesh and a comfortable padded bottom that not only provides comfort to kids, it also provides a safe environment when used outdoors. Parents can continue their chores and rest easy knowing their kid is safe and comfortable inside the playpen. You might have to add some more padding to make it more comfortable. It comes fully assembled and ready to use. It unfolds in just a matter of seconds and you can use it indoor or outdoor. You just have to fold it after use and place it in the portable bag so you can easily store it or carry it with you anywhere you go. It even has a strap for easy handling. It is portable and built with durability in mind. It is water-resistant, which is ideal for a day at the park or at the beach. You can easily unhook the cover if you need to wash or clean it. Not only does this protect them if they fall, but it provides grip and traction in their play area. This mat comes in fun colors that your children will love. We know that life is hectic, and we know you love your twins. As a protective parent, it is a good idea to invest in a piece of safety equipment that helps when you can’t be the hands-on parent that you want to be. A play yard or playpen for twins can help you to get chores done and provide a safe place for your babies to nap and play.